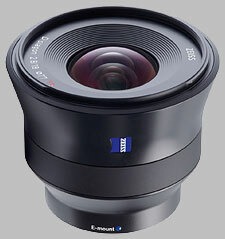 (From Zeiss lens literature) ZEISS Batis 2.8/18 -- The super wide-angle lens for a new era. The very large field angle of this super wide-angle lens is perfect for creative shots with unusual perspectives. Consistently excellent image quality right into the corners makes the lens perfect for the challenges of, for example, landscape, astro and architectural photography. For the first time, you can accurately read the focus distance and depth of field simply and intuitively on the OLED display on the lens. Especially in poor light conditions excellent readability is always guaranteed. The Zeiss 18mm f/2.8 Batis 2.8/18 doesn't have any user reviews yet!